AdSense is a well-known Pay Per Click (PPC) program from Google, which helps publishers to make handsome money from their online content. Unfortunately site owners especially newbies always try to follow some illogical methods to make quick money. AdSense or any other PPC programs for that matter, is like a tree, which needs to be carefully brought up from the small plant for many years to get a fruit from the grown tree. Trying to cheat will kill your own benefit and most probably results in banning your account for lifetime. Moreover, once the site is marked for web spam, it is not possible to get other advertisers making the whole idea of making money from your site in vain. 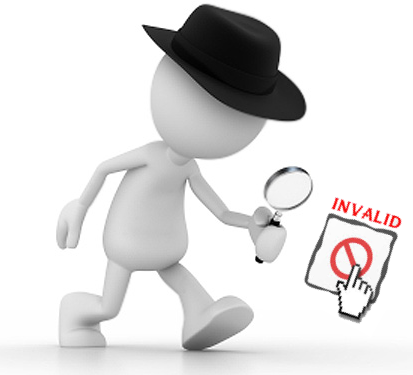 Here are some ideas how Google could track your invalid activities and suspect the source of traffic to your site. Nevertheless, do not attempt any means of traffic not inline with AdSense publisher’s guidelines from Google. Clicking on the own ads is the first and primary mistake a new publisher tends to do. Besides the content quality data like geographical location and IP address from which you apply for an account are collected when you apply for AdSense. It is easy to detect whether the click is originated from the same IP from which you access your AdSense account or applied AdSense account. Most of proxy server’s IP are well known to all major advertising companies including Google. For example, AdSense ads may not even show when viewed using some VPN services. On top this, clicking ads through proxy will undoubtedly result in banning your account. Cookies are used in almost all Google services like Gmail, Webmaster Tools, Analytics, etc. though it is common to use multiple Gmail accounts; any clicks on the advertisements can easily be tracked with the cookies set in the browser. Google allows displaying ads from multiple AdSense account on a single web page without exceeding the ad limit. Even you can add multiple accounts in AdSense iOS app to monitor revenue from many accounts. This may be required in many cases like managing clients or family members. The only thing not allowed is to apply or get multiple AdSense account for a single personal and generating invalid click by any means. It is easy for Google to track down the origin of each click and compare the data to check the legitimacy. Besides all the above factors click pattern will clearly indicate whether it is intentional or artificial click over the period of time. For example, assuming your site is getting 1000 visitor per day with more than 50% traffic from US. If the click pattern shows 90% clicks are received outside of US it is clear case for suspicion though it could be real. But it can’t continue for long time, which will indicate Google that the publisher itself arranges the clicks. Google also tracks the browsing pattern of the users to display interest-based ads. Continuous clicking of ads from a single computer can easily be tracked by Google using cookies, IP and ISP. Even you delete browser cache, the geographical click pattern will clearly indicate the origin of clicks. If you can see the origin of traffic down to the city level in Google Analytics, Google can well use their own data to find invalid clicks. 30% CTR means every 3 out of 10 users should click one ad which can happen few days legitimately but definitely will not happen over few months. Since this will directly affect the advertisers who pay money to Google through their AdWords account, AdSense accounts with high CTR will be under scrutiny before getting banned. This is one of the tricky points; today a site can’t exist without promoting through social media. With every social media sites like Facebook, Twitter, etc. have their own search engine and advertising programs they are direct competitors to Google. From AdSense perspective, it is recommended to monitor the traffic ratio of a site closely. Receiving large number of clicks from social referrals indicates Google that it could be an inflated clicks from the publisher’s own friends and circles. Besides social media, publishers tend to use traffic or click exchanges to increase the traffic. This is completely against AdSense policies and getting more traffic without appropriate search ranking is a clear indication in the direction of account ban. It is not always necessary to generate invalid clicks from external sources like click exchanges and bots. There are other means of visually motivating users to click by placing ads nearer to images and displaying “Click Here” type of text messages above the ad. Google AdSense bot crawls each page (similar to search bot) to grasp the content in order to serve relevant ads. With highly sophisticated crawling mechanism finding out such a silly techniques is rather not a real task for Google. These are some of the ideas how Google could track down the invalid AdSense clicks to protect advertiser’s money. With one of most used search engines Google could rather have many other mechanisms to easily validate a click. Hence, instead of spending time on such illegitimate techniques follow the some simple and acceptable guidelines to improve your AdSense revenue. Kremlin: U.S. report accusing Russia of election meddling harms relations.